Prince Gudda is, as he himself has said “the best of both worlds”, where he is not only from the streets, but a highly creative intellectual. His name itself is a true reflection of him as a person, as well as his music. “Prince” brings a sophisticated appeal to hip-hop as he tells about his struggle and experiences from being “Gudda”. The hip-hop phenomenon brings a ‘tell it like it is’ mentality to his music, as he showcases both well-versed lyricism, and creativity. Born Anthony Johnson in Miami Fl., Prince Gudda is a young man who knows a life of struggle. Born into a family of 7, he has experienced the ups and downs the street life, and financial distress. Yet, he took his experiences and made them become motivational, by finding an outlet in music. In his early years as an artist, he took many different routes. He began singing at a young age, with a group of family members, but as they lost interest in music, he never did and continued to pursue it. He was in the band since middle school, playing percussion and other instruments. In addition to this, he took more of an interest in the rap side of music, and began to write his first rhymes around the same time. As he grew, his talents were quickly recognized, and he had a few relationships that allowed him to elevate as an artist and businessman. He worked for a few years independently, and joined the group X-thuggs in high school. But after realizing his potential as a solo act, he pursued his craft whole-heartedly. Going from P. Gudda to Prince Gudda, he let people truly see the fire that was within him, holding nothing back, and speaking reality about situations that others do not. The young artist brings a new mind frame to his music, being not only a rapper, but also a singer, writer, producer, engineer, graphic designer, and among other things and all around businessman. He strives to work hard in all aspects of his career, from his captivating stage performances, to his creative graphic designs and his quality music production. Working in the entertainment business for over 10 years, he has taken the time to master his craft as an artist. He takes the time to give his fans not only a peek into his life, but to do it with charismatic attitude that simply cannot be ignored. As a producer, he has produced a large amount of the tracks that he released, and has engineered all of his own sessions. He creates his own graphic designs, and works hard to promote himself, and expand his work in the entertainment world. He also works on his own record label, magazine company, and radio show, with many more projects to come. Growing up listening to a blend of old and new school R&B, as well as a blend of truly lyrical rappers, and being surrounded in a bass music environment, Prince Gudda takes bits and pieces of all these things to elevate the sound of his music. His tracks reflect his percussion knowledge, while his lyrics implement the true to the heart element found in a lot of old school R&B, as well as the story telling aspect of early lyrically-sound hip hop artists. The rapper sings on some of his hooks, pours forth the grimy element of some of his life while still combining the feel-good essence found in a lot of R&B, even when he doesn’t sing. As Prince Gudda has grown, he released several projects that have all been consistent with giving the public an insight not only into his life, but to the way he sees the world. After featuring on several mixtapes, including the 850’s Hottest Vol. 2, he released his first solo single “So Alone” on iTunes, which gave precedent to several shows throughout Florida, including FAMU homecoming in 2009. He continued to master his crafts, and released the “Last Man Standing” mixtape, early 2010, which he produced and engineered 95% of. Soon, a move to Atlanta, GA caused a further expansion of his brand. Following several shows from this mixtape, he moved forward to release the single “Droppin Down” in early 2011, which got radio play on several stations, including Internet radio. Due to the success of his previous mixtape and single release, he landed a distribution deal with Blue Pie Records, and put out his first album entitled “First Stop 2 Fame”. 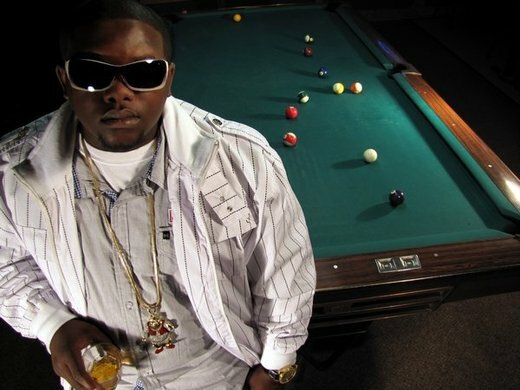 With things in motion, he teamed up with No Limit Forever Records artist Oaktree during latter 2011, and created the song, “First 48”, followed its official video release. This was the single that preceded his second mixtape release “The Phenomenon”, which also released late 2011. Since the release of “The Phenomenon”, he landed a role in a new movie with head A%R of No Limit Forever Records, Terry “Head” Miles, entitled “Recognize” (coming this summer). He has also recently been featured on many top hip hop sites, including Rap4Ever.net and HipHopSyndicate.com, among many others. Prince Gudda is currently moving forward with his music and business mind looking to continue to rise as an artist. He is currently working his ever-expansive catalogue, with plans for a new mixtape and album in the works. He also is expanding his reach, by looking for licensing opportunities, as well as more roles in film. His music, which is causing him to catch the attention of several industry professionals, is still the topic of many hip-hop websites and industry professionals. He is now focused on enticing a national audience towards his music and his brand, and offering hip-hop fans a sense of reality and sophistication through his music.